Bounty Killer and Mavado in better times. Bounty Killer adds a big new diss song to the already war filled “The Bomba” riddim jugggling. Where Iyara (A.N.G.) and 3 Star (Gully Side) exchanged lyrical fire in the previously released songs, the five star general takes shots at the leader of the Gully Squad, Mavado. The Bomba Riddim is produced by Adrian Locke for Truckback Records. Listen the Mavado diss below. 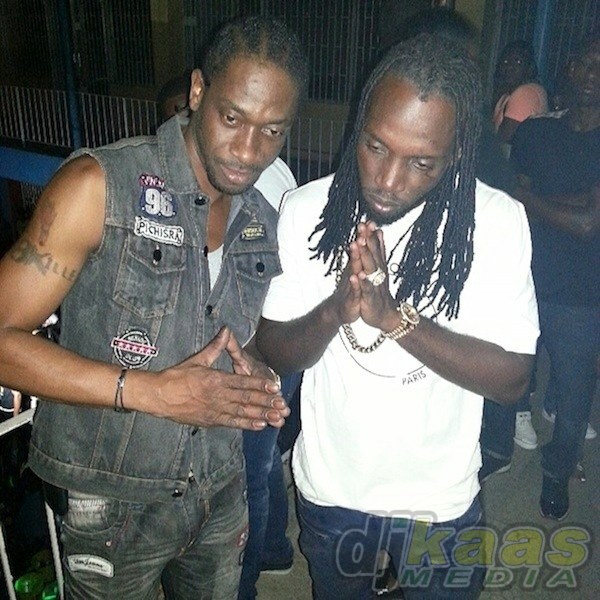 ← Is Bounty Killer Ready To Clash Mavado?